Treatment of the secondary alcohols with pyridinium chlorochromate (PCC) leads to ketones. 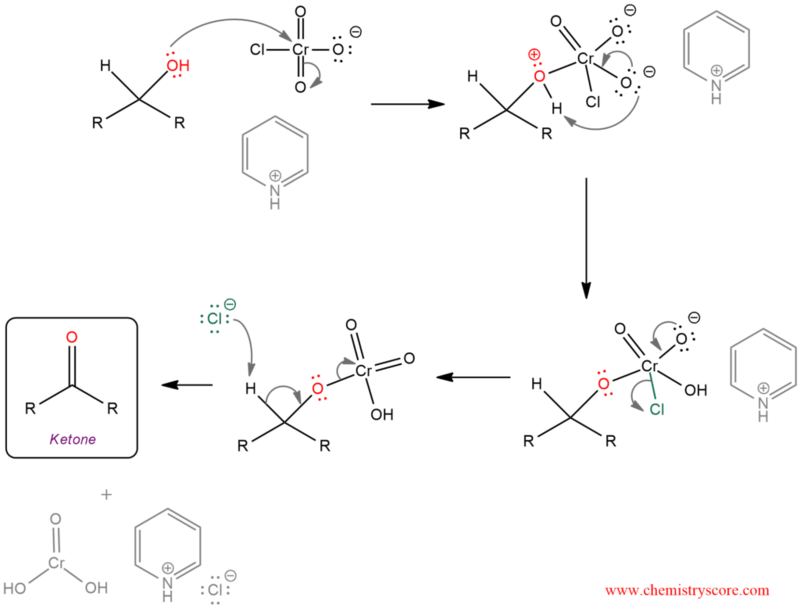 Because secondary alcohols have only one proton at the α position they can be oxidized only once to form a ketone. Therefore, oxidation can be achieved with both pyridinium chlorochromate (PCC) or chromic acid. But PCC is more used because is more gentle and often preferred if other sensitive functional groups are present in the compound. 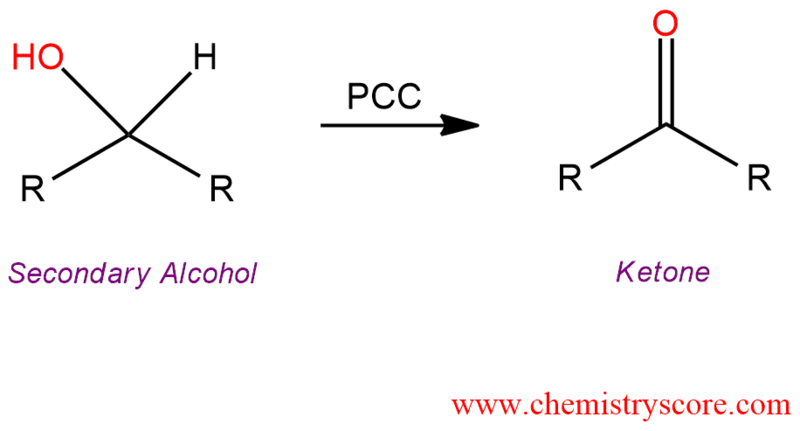 The oxygen atom of the hydroxyl group of an alcohol attacks chromium atom to form O-Cr bond. This oxygen is positively charged and one oxygen which is bonded to the chromium deprotonated this oxygen to get neutral, possibly through the intermediacy of the pyridine salt. Chromate ester forms in 1,2 elimination reaction. Then chloride ion attacks proton from α carbon of the alcohol. The electrons from C-H bond move to form the C-O bond (double bond) and the O-Cr bond is broken. Thus, chromium (VI) becomes chromium (IV), and the ketone is obtained.